Z-agon is a revolutionary video player in a cube. 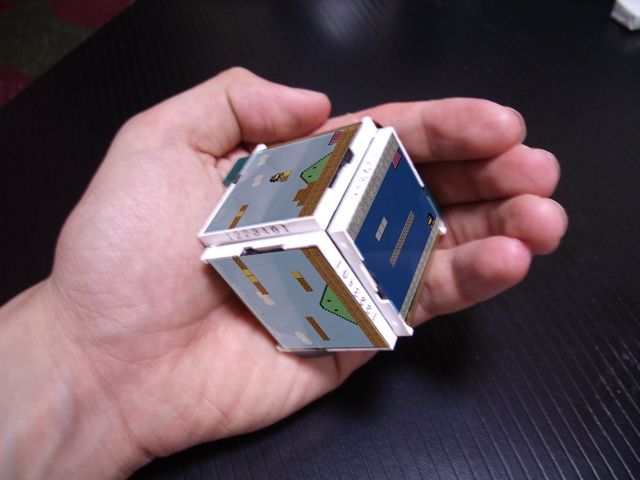 Each face of the cube has high-resolution displays for multi-media contents. You can watch many digital contents anywhere via Wi-Fi networks. You can receive video mails, multi-channel TV and interactive games etc. The interface is tangible. You can interact with contents by turning the cubic object.